A series of append() calls on a SourceBuffer without any intervening abort() calls. 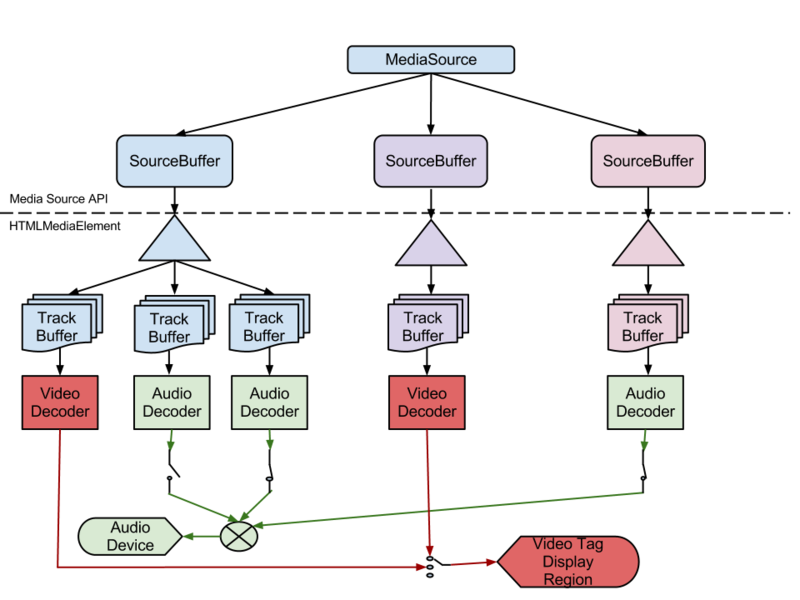 The media segments in an append sequence must be adjacent and monotonically increasing in time without any gaps. An abort() call starts a new append sequence which allows media segments to be appended in non-monotonically increasing order. The media element waits for the necessary media segments to be passed to append(). The buffer full flag keeps track of whether append() is allowed to accept more bytes. It is set to false when the SourceBuffer object is created and gets updated as data is appended and removed. If the first initialization segment flag is false, then run endOfStream("decode") and exit the loop. The bytes provided through append() for a SourceBuffer form a logical byte stream. The format of this byte stream depends on the media container format in use and is defined in a byte stream format specification. Byte stream format specifications based on WebM , the ISO Base Media File Format, and MPEG-2 Transport Streams are provided below. These format specifications are intended to be the authoritative source for how data from these containers is formatted and passed to a SourceBuffer. If a MediaSource implementation claims to support any of these container formats, then it must implement the corresponding byte stream format specification described below.